STS Line Maintenance is hiring A&P Line Maintenance Technicians in Boston, Massachusetts. To learn more, check out the following information. 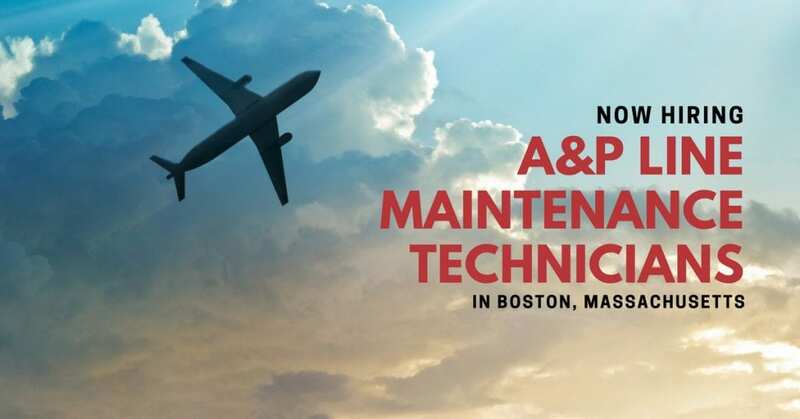 STS Line Maintenance offers the best aircraft maintenance jobs in Boston, Massachusetts; positions that will reward your skills with competitive compensation and benefits. When it comes to your career as an A&P Line Maintenance Technician, don’t just wing it. Let STS Line Maintenance help you fly your career forward!